Here is a comprehensive list of all the Jamaican High Schools. The list includes the school’s address and phone number. Please note the Principal names may not be updated. 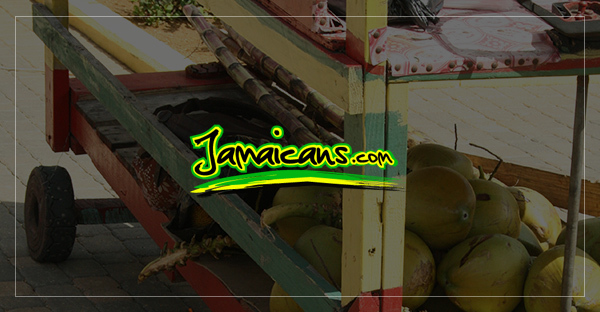 Some of the Jamaican High Schools websites are for their alumni associations. 10 Ardenne Rd., Liguanea, Kingston 10, Jamaica W.I. 43 DeCarteret Road, Mandeville, Jamaica W.I. 3 Newleigh Road, Mandeville, Jamaica, W.I. Portmore, St Catherine, Jamaica, W.I. Kildare District, Buff Bay, Portland, Jamaica. W.I. 61 Red Hills Road, Kingston 20, Jamaica W.I. 105 Hope Road, Kingston 6, Jamaica, W.I. Linstead, St. Catherine, Jamaica W.I. Ninth St. Kingston 12, Jamaica W.I. 1 Deanery Rd Kgn 3, Jamaica W.I. 26 South Camp Road, Kingston 4, Jamaica W.I. Orange Street, Montego Bay, St James, Jamaica W.I. 9 ackson Street, Clarendon, Jamaica W.I. Caribbean Terr, Kgn 17, Jamaica W.I. 8 Cawley Road, Kingston 2, Jamaica W.I. 15 Dunrobin Av Kingston 10, Jamaica W.I. 137 Mountain View Ave., Kingston 3, Jamaica W.I. Claremont, St. Ann, Jamaica W.I. May Pen, Clarendon, Jamaica W.I. Green Island, Hanover, Jamaica W.I. Guys Hill, St Catherine, Jamaica W.I. Malvern, St. Elizabeth, Jamaica W.I. Montego Bay, St. James, Jamaica W.I. 9 Skibo Ave., Kingston 10, Jamaica W.I. 10 George Headley Drive, Kingston 4, Jamaica W.I. 52C Spring Road, Kingston 8, Jamaica W.I. 1a White Church St, Spanish Town, St Catherine, Jamaica W.I. Twickenham Park, Spanish Town, St. Cath., Ja W.I. 2A North St., Kingston, Jamaica W.I. 82 Hanover St., East Kingston, Jamaica W.I. P.O. Box 137, Mandeville, Manchester, Jamaica W.I. 2 Meadowbrook Ave., Kingston 19, Jamaica W.I. 77 Constant Spring Road, Kingston 10, Jamaica W.I. Summer Hill District, Point P.O. St James, Jamaica W.I. Cottage Road, Montego Bay, St James, Jamaica W.I. 51 Union Street, Montego Bay, St. James, Jamaica W.I. 7 Highbury Cres., Morant Bay, St. Thomas, Jamaica W.I. Queens Drive, Montego Bay, St. James, Jamaica W.I. Lawrence Tavern, St Andrew, Jamaica W.I. 88 Stennett Street, P.O. Box 9, Port Maria, St. Mary, Jamaica W.I. Port Antonio, Portland, Jamaica W.I. Watson Taylor Drive, Lucea, Hanover, Jamaica W.I. 64 Spanish Town Road, Kingston 13, Jamaica W.I. Santa Cruz, St. Elizabeth, Jamaica W.I. CSO Box 8038, Kingston, Jamaica W.I. St. Christopher\’s Road, Brown\’s Town, St. Ann, Jamaica W.I. 1 Leinster Road, Kingston 5, Jamaica W.I. Highgate, St Mary, Jamaica W.I. 31 Molynes Rd, Kgn 10, Jamaica W.I. 8 Central Ave., Kingston 8, Jamaica W.I. 49 Windward Rd Kgn 2 Jamaica W.I. Stewart Town, Trelawny, Jamaica W.I. National Heroes Circular, Kingston 4, Jamaica W.I. 2 Marescaux Road, Kingston 5, Jamaica W.I. Brown\’s Town, St Ann, Jamaica W.I.